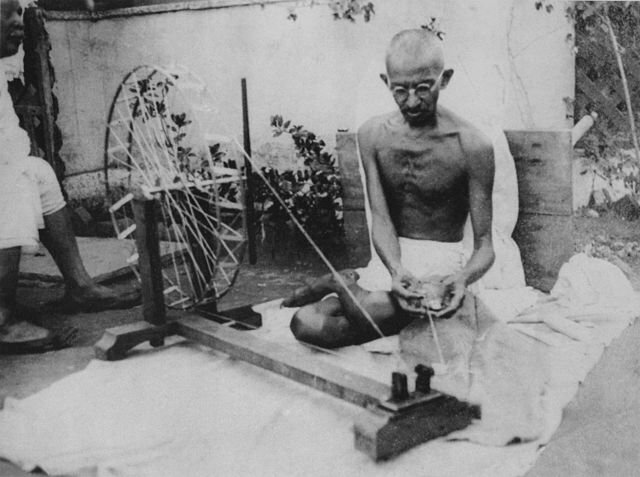 Gandhi spinning in the 1920s. Credit: Wikimedia. Public Domain.